. يقدم Kununurra Lakeside Resort خدمات لا غبار عليها وكل أشكال اللياقة وحسن الضيافة اللازمة لإسعاد ضيوفه. يمكن للنزلاء الاستمتاع بالميزات التالية: مرافق مخصصة لذوي الاحتياجات الخاصة, تخزين الأمتعة, واي فاي في المناطق العامة, صف السيارات, التوصيل من وإلى المطار أثناء إقامتهم في هذا المكان الرائع. لقد جهزت هذه الإقامة الفندقية بعناية فائقة لتوفر مستوى عالي من الراحة. في بعض الغرف يجد النزيل تلفزيون بشاشة مسطحة, اتصال لاسلكي بشبكة الإنترنت (مجاني), غرف لغير المدخنين, مكيف هواء, خدمة الإيقاظ. كما أن مجموعة الخدمات الواسعة الموجودة في الفندق لضمان راحتك تترك لك الكثير من الخيارات لقضاء وقتك أثناء فترة إقامتك. 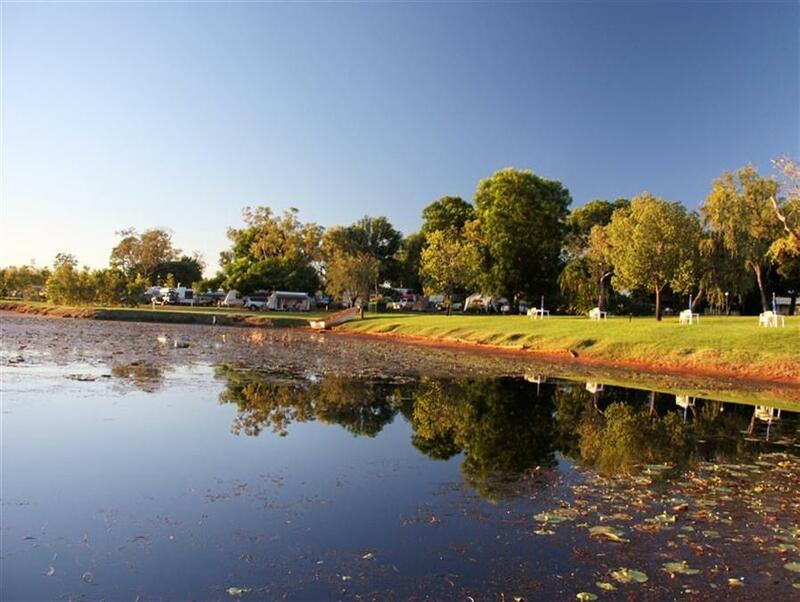 استمتع بخدمات لا يعلى عليها وعنوان ذو اعتبار في Kununurra Lakeside Resort . 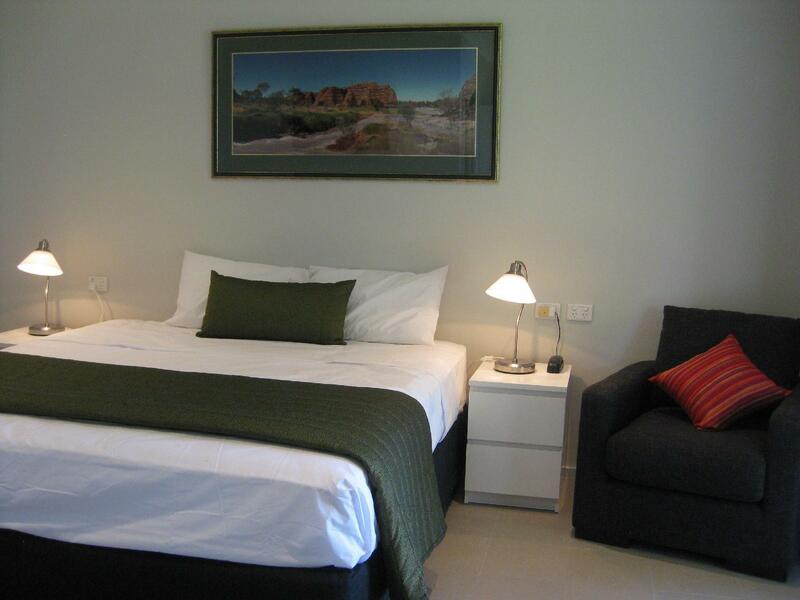 Delightful staff, spacious accommodation, glorious setting with sunset views and good restaurant. Made us very welcome and we truly enjoyed staying there. Highly recommended. Was good up until we had to speak to the manager. We tried booking a room the day before and spoke to a lady who knew no English. All i asked is if it is a pet friendly hotel and told her that we need a room for myself, my wife, and 2 kids. She said yes but I got the impression she had no idea what I was saying. We got a double room with a single bed for our 4 year old and we took our own baby cot for our baby. Manager had a winge and was very rude about it. We will not be staying at the hotel again and will be telling all our friends and associates in halls creek to stay elsewhere. The manager did not make us feel welcome nor did she inspire us to stay around to have another beverage or a meal. So we ate elsewhere and drank elswhere. If i was staying for a holiday , i would like a bigger room, however, as i was there for busisness, the room size was not important. The Staff, grounds and location were all great. resort has wonderful location, only a short drive from the main part of town, but on other side of lagoon. stayed in well appointed and clean cabin. caravans have the best vantage point to enjoy the lagoon, but great park area for all, with good tables and chairs to sit and enjoy the sunset on the lagoon and the bird life or sunshine. bar staff and very friendly and helpful, meals nice and our included breakfast was good. definitely stay there again.